The concepts of owner's equity and retained earnings are used to represent the ownership of a business and can relate to different forms of businesses. Owner's equity is a category of accounts representing the business owner's share of the company, and retained earnings applies to corporations. Three categories on a balance sheet represent a business from an accounting standpoint: assets, liabilities, and owner's equity. So, owner's equity is a category by itself. Under each category are different accounts, like "cash" for assets, "supplies" for assets, and liabilities for things like taxes, a mortgage, or other debts. The recognized accounting equation is assets = liabilities plus owner's equity. In other words, assets—the things owned by the business—are on the left. On the right are the owner's equity and liabilities such as bank and credit union loans and taxes. Owner's equity can increase or decrease in four ways. It increases when an owner invests in the business. It is called a capital contribution. It can increase or decrease when the company has a profit or a loss, and it decreases when an owner takes money out of the business, such as if he takes an "owner's draw". Owner's equity can also decrease if liabilities increase and assets don't increase by the same amount. Now let's say that at the end of the first year, the business shows a profit of $500. This increases the owner's equity and the cash available to the business by that amount. The profit is calculated on the business's income statement, which lists revenue or income and expenses. Now the equation becomes owner's equity $700 = assets $1,500 less liabilities $800. But what if the owner took out $300 from the business as a draw during the year? The draw reduces the owner's capital account and owner's equity, so now the equation becomes owner's equity $400 = assets $1,200 fewer liabilities $800. Remember that owner's equity is a category. The account for a sole proprietor is a capital account showing the net amount of equity from owner investments. This account also reflects the net income or net loss at the end of a period. A separate draw account might also be shown on the balance sheet reflecting the amount taken out by the owner during the period of time in question. Retained earnings are corporate income or profit that is not paid out as dividends. That is, it's money that's retained or kept in the company's accounts. An easy way to understand retained earnings is that it's the same concept as owner's equity except it applies to a corporation rather than a sole proprietorship. A corporation has shareholders, and each shareholder has a capital account. The earnings of the company are kept or retained in a corporation and are not paid out directly to the owners, while the earnings are immediately available to the business owner in a sole proprietorship unless the owner elects to keep the money in the business. In a corporation, owners or shareholders. They're not paid directly, such as through salaries. Partner ownership works in a similar way to ownership of a sole proprietorship. The partners each contribute specific amounts to the business in the beginning or when they join. Each partner receives a share of the business profits or takes a business loss in proportion to that partner's share as determined in their partnership agreement. Partners can take money out of the partnership from their distributive share account. What About Owner's Equity vs. Retained Earnings and Business Taxes? As described above, all owners have equity - a share in the ownership of the business. In most businesses, the owners must pay tax on the equity created by the business each year in the form of profits. As a business owner, you must pay taxes on your share of this increase in yearly increase in equity, even you don't take it out of the business. A corporation pays tax on annual net income, not retained earnings. The owners of a corporation (shareholders) pay tax on dividends, not retained earnings. Owner's equity accounts for sole proprietors, limited liability company owners, and partners are similar to retained earnings accounts for corporation shareholders. Taxes are different. 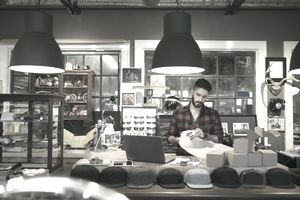 What Makes a Sole Proprietor So Unique?